Instead, the country remembers its Nazi past and commemorates its tragic history with memorials for the nation's victims, like the Memorial to the Murdered Jews of Europe and the Topography of Terror. However, America isn’t the only country with an ugly past. While U.S. citizens argue over whether to haul away the Confederate statues, Germans discuss the value of Hitler’s bunker in the teachings of history. Today, Hitler’s bunker is not memorialized or commemorated. The site serves as a parking lot for some apartment buildings located between Berlin’s Potsdamer Platz and Brandenburger Gate. The residential buildings were once home to the more privileged citizens of the German Democratic Republic in the 1980s. Now they serve as a dwelling place for regular folk. The Führerbunker, which was completed in two phases in 1936 and 1944, served as the the last of the Third Reich’s headquarters used by the Nazi leader during World War II. Hitler took up residence in the air-raid shelter on January 16, 1945 as Berlin underwent a series of bombing raids from the Soviets. For a shelter 50-feet below ground, the bunker was pretty luxurious. The 3,000-square-foot space had its own heating, electricity, and water, and was accessible via a red-carpeted hallway lined with paintings re-hung from Hitler’s grand chambers in the Chancellery. While life for Hitler seemed ordinary during his first two months in the bunker, certain factors reminded the bunker’s residents that everything was not as it used to be. Eventually, impending doom slowly creeped into Hitler’s mind as Russian troops marched on Berlin. On April 29, Hitler married Eva Braun and the next day the couple committed suicide. On May 2, Berlin surrendered to the Soviet army. After the war, the Soviets tried demolishing the bunker, but only succeeded in destroying the facilities at the surface. The apartment buildings and parking lot were designed to cover most of the area of Hitler’s former bunker in the hopes that people would forget about it. The site remained unmarked until 2006 when “Berliner Unterwelten,” an NGO that provides visits and information about NS architecture in Berlin, installed a small information board. Some sections of the bunker still exist but are sealed off from the public. 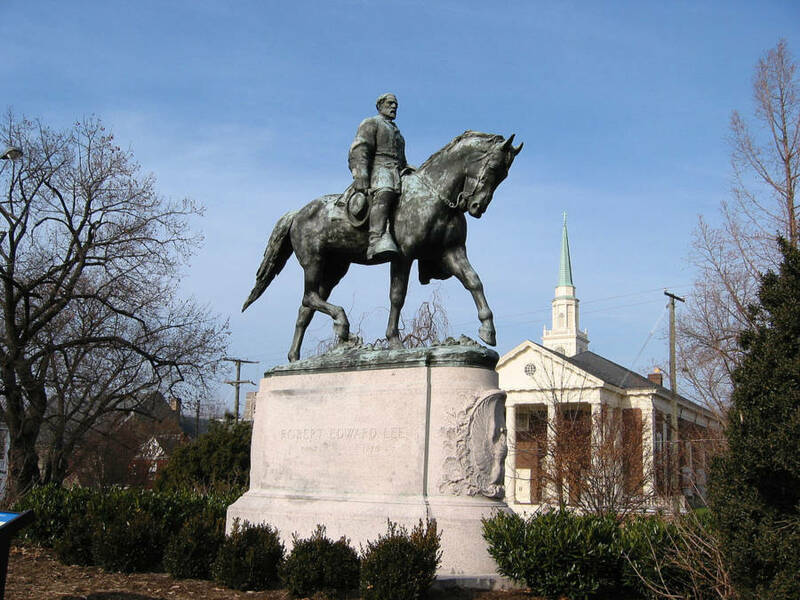 Back in the U.S., supporters of the preservation of Confederate monuments like to claim history will be forgotten if the statues are hauled away. However, Germany serves as an example that a nation does not have to commemorate the perpetrators of a dark period with monuments in order to remember its villains. The country remembers its Nazi past and commemorates its tragic history with memorials for the nation’s victims, like the Memorial to the Murdered Jews of Europe and the Topography of Terror. Maybe America should take note.